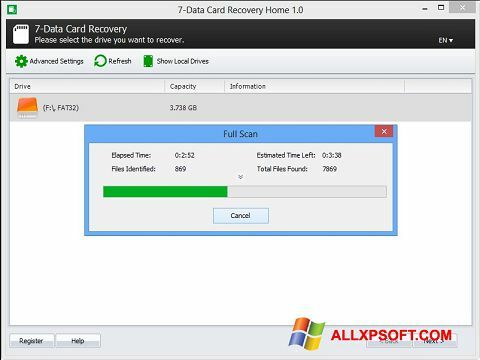 CardRecovery for Windows XP allows you to recover data stored on memory cards. The program is useful to those who use cameras, smartphones and cell phones equipped with flash drives. At the heart of the principle of the utility is a technology called Smart Scan. It is able to detect any multimedia content. The software supports a wide range of devices, ranging from common SD, miniSD and microSD cards, to rare CF Type 1 and 2. You can recover files even if the media is formatted. You can free download CardRecovery official latest version for Windows XP in English.